A NH bill to protect physicians’ rights to determine the most appropriate treatment protocol for their patients became law today. According to the NH Secretary of State’s Office, Governor John Lynch had until June 8 midnight to either sign or veto the bill. He did neither, so it becomes law without his signature. House Bill 295 seeks to protect physicians’ rights to determine the most appropriate treatment protocol for their patients. 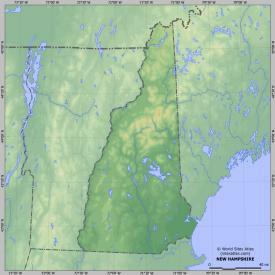 New Hampshire residents need HB 295 to safeguard their choice in treatment of Lyme disease. NH doctors are under pressure from the medical community and insurance companies to treat with very limited antibiotic regimen, according to the Infectious Disease Society of America which denies the existence of chronic Lyme disease. After an 18-month journey, the Lyme Disease bill, HB295, became law at 12:01 a.m. today. In the end, the Governor refused to sign the bill and let the bill become law without his signature. According to the Secretary of State’s Office, the Governor had until June 8 midnight to either sign or veto the bill and notify the Secretary of State’s Office of his intent. No such correspondence was ever received. In the absence of this correspondence, the bill automatically became law without the Governor’s signature. I can’t express enough how your involvement in the process has made the difference. At the very first (HB1326 in 2010) public hearing, over 200 supporters came and made a first and lasting impression on legislators that chronic Lyme disease does exist. From that point forward there was no disputing that fact. When the 2010 HHS Committee voted 18-1 to study the bill (effectively killing it), supporters filled the gallery and my legislative colleagues and I were able to overturn the committee recommendation into a 300-56 Ought To Pass vote. While we lost HB1326 in a Committee of Conference when Senators refused to move from their position to study the bill, we learned much from the process. In 2011 I reintroduced the bill as HB295, with House and Senate co-sponsors from both parties, ensuring that, if needed, our message could be taken into both caucuses, in both chambers. 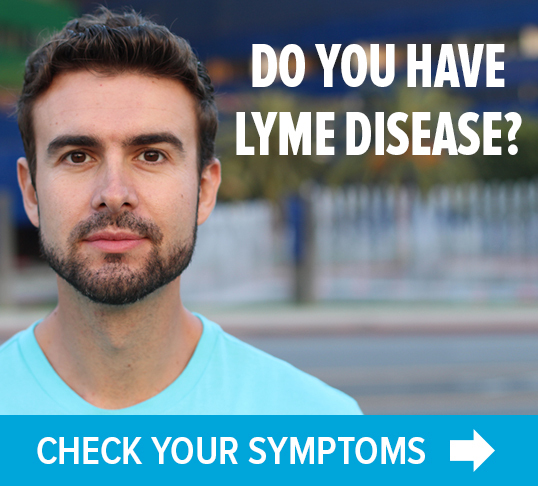 The Lyme Legislation Committee was very active in carrying on discussions with the Medical Society, discussions which led to a mutual agreement to post a statement on the Board of Medicine’s Web site stating that doctors would not be disciplined solely for treating with long-term antibiotics. Things seemed to be fine until I insisted that there be a definition of Lyme Disease on the Web site, and that that term should be defined according to the original HB295 definition. The Medical Society objected. At that point in the process, strategically for us, it was better to let the bill go forward to the Senate than to try and fix it in the House. Once HB295 passed the House, we started hearing (expectedly) from Lyme-literate doctors that the definition adopted by the House would offer them no protection, which we knew. Supported by the doctors’ feedback, we were able to go to the Senate HHS Committee and use that to support an amendment I offered at the Senate public hearing that restored the definition of Lyme Disease to the definition in the original HB295. HB295 supporters quickly got behind the amendment, catching the opposition off guard. The Medical Society continued to oppose the bill, however, now primarily because they did not want people thinking that the Board of Medicine came up with that definition. We were told by the Medical Society lobbyist if that point could be resolved, the Medical Society, while not supporting the bill, would not oppose the bill going forward. After discussions I had with Senator Bradley, I gave to him an amendment that clarified that the definition of Lyme Disease being used came from Connecticut’s Lyme Disease bill. Senator Bradley introduced this amendment to HB295 in the Senate, and the bill passed on a voice vote. The amended bill then returned to the House, where the House also passed it in its current version on a voice vote. 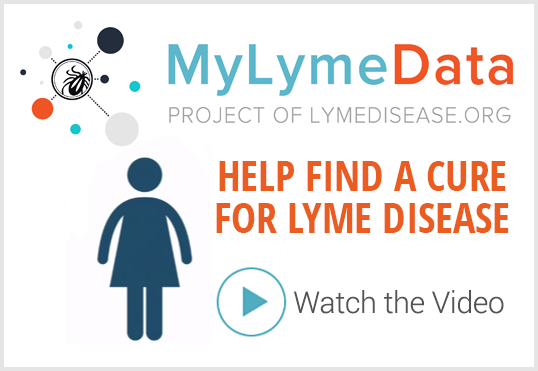 AN ACT relative to the use of long-term antibiotics for the treatment of Lyme disease. 1 Board of Medicine; Lyme Disease Treatment. The board of medicine established in RSA 329:2 shall post and maintain on its website the following statement: No licensee may be subject to disciplinary action solely for prescribing, administering, or dispensing long-term antibiotic therapy for a patient clinically diagnosed with Lyme disease, if diagnosis and treatment has been documented and monitored in the physician’s medical record for that patient. I. “Long-term antibiotic therapy” means the administration of oral, intramuscular, or intravenous antibiotics, singly or in combination, for periods of time in excess of 4 weeks. II. “Lyme disease” means the clinical diagnosis by a licensed physician of the presence in a patient of signs or symptoms compatible with acute infection with Borrelia burgdorferi; or with late stage or persistent or chronic infection with Borrelia burgdorferi; or with complications related to such an infection; or such other strains of borrelia that are recognized by the National Centers for Disease Control and Prevention as a cause of Lyme disease. Lyme disease includes an infection that meets the surveillance criteria set forth by the National Centers for Disease Control and Prevention, and other acute and chronic manifestations of such an infection as determined by a licensed physician, pursuant to a clinical diagnosis that is based on knowledge obtained through medical history and physical examination alone, or in conjunction with testing that provides supportive data for such clinical diagnosis. This definition is based on Connecticut Public Act No. 09-128 (HB 6200, approved June 18, 2009). While it has been my honor to carry this cause legislatively to fruition on your behalf, I am sincerely thankful for the support and participation that has come from the Lyme community at each step of the legislative process. I also owe a debt of gratitude to those members of the Lyme Legislation Committee for their guidance and education that helped me advance from a Lyme novice to a legislative leader on the subject. The days of public hearings, subcommittee meetings, Action Alerts, phone calls, letters and lobbying are over for HB295, as we have successfully reached the finish line and accomplished our objective. It is my sincere hope that what we have accomplished with bring some relief, comfort and new hope to your lives. One last thing: Amid the busy schedules we all have, please take time to thank your Representatives and Senator for their support of HB295. While we have no record of who supported or opposed the bill, as every vote taken was a voice vote, the voice votes (at least in the House) were with little to no opposition. I believe this was a major factor in the Governor’s decision to let the bill become law without signing it. It has been an honor working with all of you. Why did Gov Lynch refuse to sign this bill? Maybe if he or one of his family members becomes afflicted with this debilitating disease he might see things differently! Thank you to all those fighting on behalf of those of us suffering! My thought on why the Governor refused to sign the bill: Because it’s so controversial he didn’t want his name pinned to it and he knew if he didn’t sign it, it would pass automatically, which is fine. Who cares if it has his signature or not. The important thing is that it passed. What a shame it is that because conventional medicine can’t keep up they try to stomp out all the progress the rest of us are making. It wasn’t that long ago that a chiropractor was considered a quack. Wake up America and get out of bed with the drug companies.